Who created the CAGED System for guitarists? 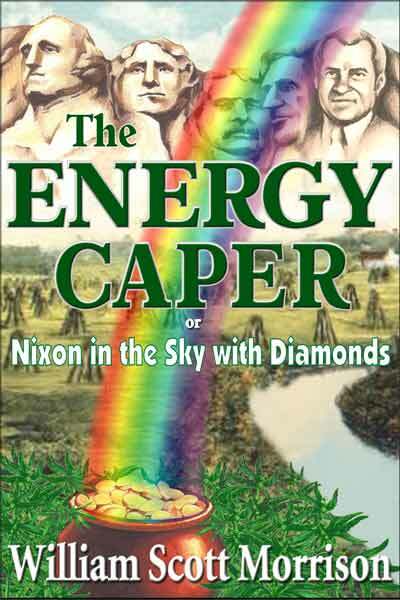 There has been some controversy as to the origins of the “CAGED System” for mastering the guitar. 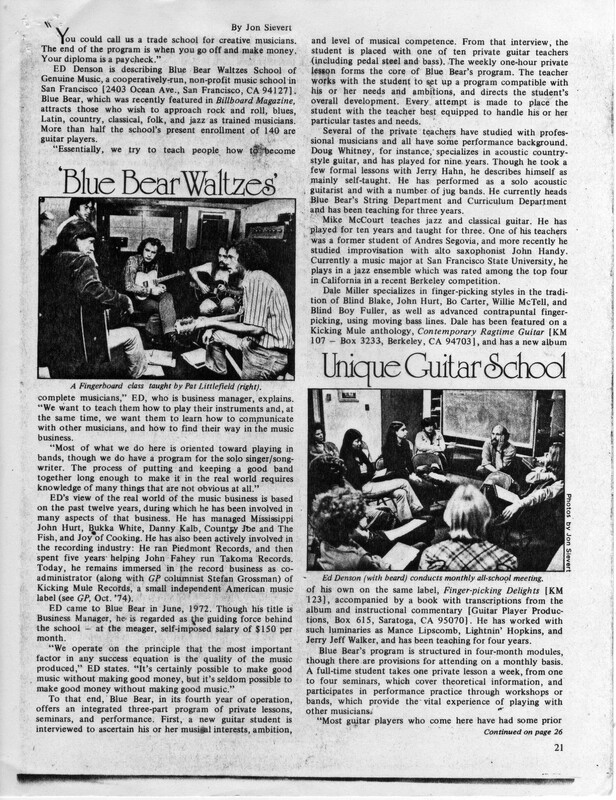 In an article in the May, 1975, issue of Guitar Player Magazine called “Blue Bear Waltzes” about San Francisco’s famous Blue Bear School of Music, the school’s 20 year old head of guitar instruction, Keith Allen, lays out the logic of the five interlocking major scales, E-D-C-A-G. Five years later, in 1980, Keith’s method would become the centerpiece of The Guitar Poster. 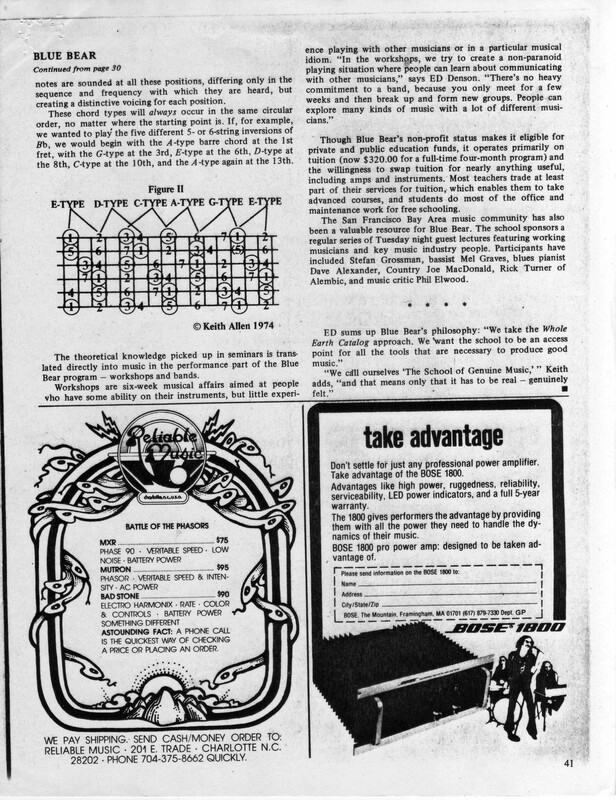 We apologize for the quality of the reproductions below, but the article was scanned from a Xerox copy of the magazine made sometime in the 1970s. 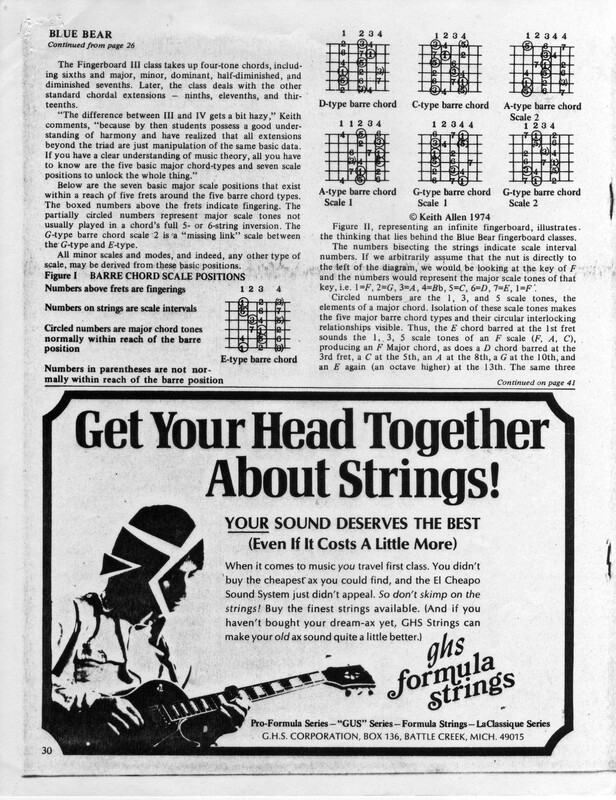 We believe that it proves beyond a doubt that it was Keith’s original insight into the logic of the guitar neck that was the origin of what is now called The C-A-G-E-D System. 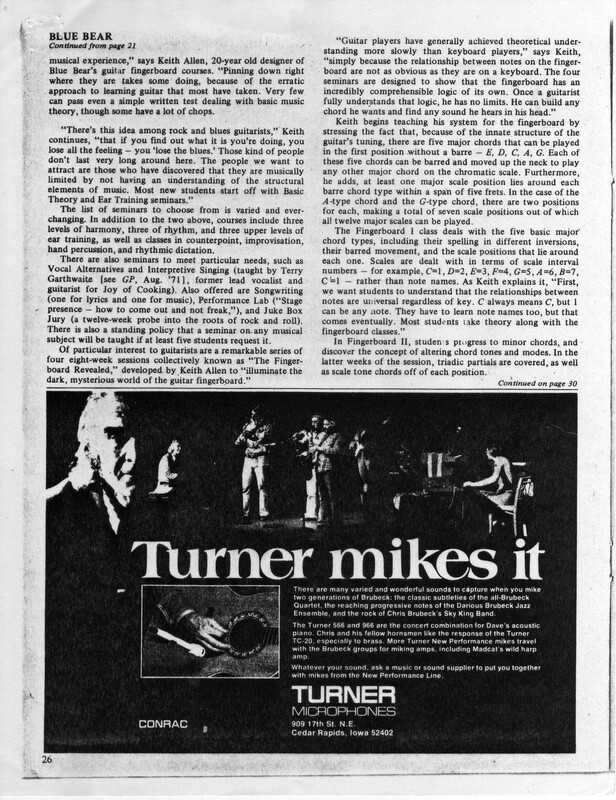 For a more readable copy, click on the link for a PDF of the Guitar Player Magazine article.